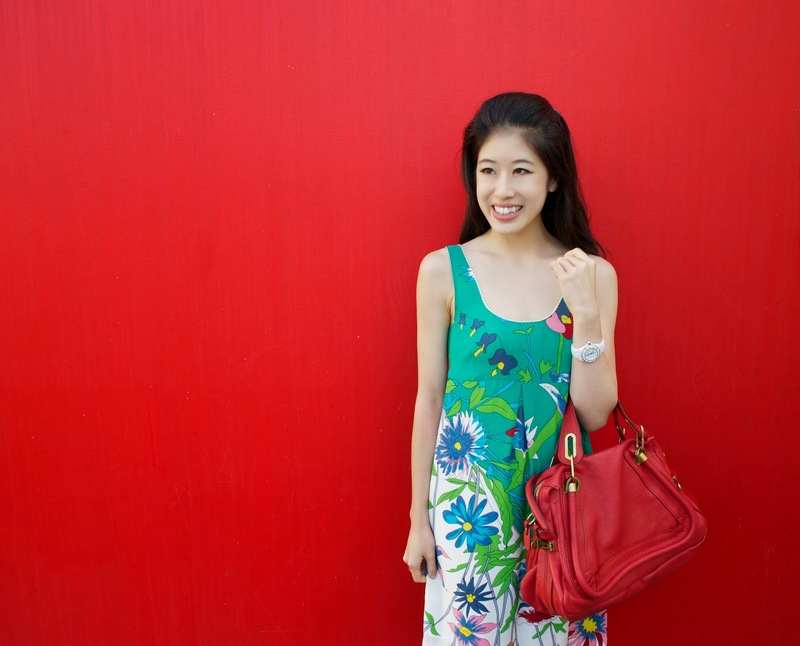 I’ve always been drawn to bright colors, and love working complementary color schemes into my outfit ensembles. For a weekend stroll at the museum, I slipped into this green, floral, silk printed shift dress. I was nervous the overall result would be unstructured and more mature looking. But despite the looser fitting silhouette and longer hemline, I still managed to look like a twenty-something year old by accessorizing with colors! 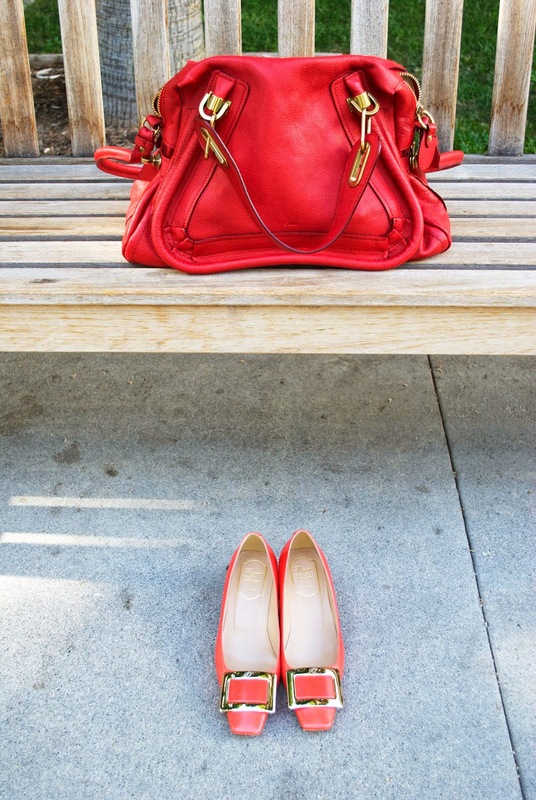 It’s always fun to make things pop with a bright shoe or handbag, so I completed the outfit with my orange Vivier heels, and a red tote. The light fabric, vibrant hues, were seasonally appropriate, and perfect for a hot afternoon. Color accents, structured accessories, and detailed designs are a few of my favorite things!